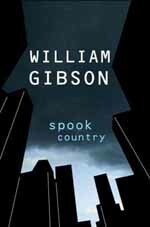 William Gibson's comments on the influence of Google on his writing process, mirrors that of some of his internet immersed readers experiences as well. 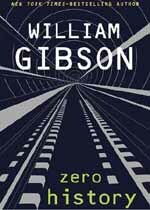 Gibson: It's not that interesting for me. I'm okay with it because it doesn't pull me in that much. The thing that limits you with Google is what you can think of to google, really. There's some kind of personal best limitation on it, unless you get lucky and something you google throws up something you've never seen before. You're still really inside some annotated version of your own head. This is very pertinent to patternboy's node.tumblr.com project, in which he annotates chapter summaries and interesting words or ideas, obviously using Google. 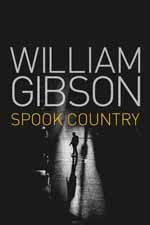 I have been doing the same here on this blog, commenting on patternboy's selection of quotations and chapter summaries, and using Google and my own knowledge and experience, in the countdown to the official publication of Spook Country. Gibson: In some cases. The Vancouver stuff is less one-on-one than the Manhattan stuff, for instance. The places, the restaurants are in different neighborhoods, things like that. The New York stuff I somehow stuck closer to the real thing. The New York stuff is more googleable. The interview in Wired magazine by Warren Ellis gives some more details about William Gibson's thoughts on the way in which the use of Google etc. has transformed his writing and the reading experience of his fans, into a kind of interactive fiction Even if interesting or obscureor corporate brand or URL or email references etc. are not explicitly hyperlinked, some people (like us) will investigate them anyway, as happened with Pattern Recognition. The example Warren Ellis cites from Spook Country is the Adidas GSG9 military style footwear. My impression from Google is that this footwear, whilst aping the style of what "military ninjas" might wear, is not actually what experienced special forces people favour.